Is the Assassins creed real? I have found this Document but could this or is this true? “The organization that would later be known as the Templar Order was likely founded by Cain, whose ‘mark’ was used as the Templars’ crest. They quickly became the archenemies of the Assassins, who, as opposed to the Templars, fought to allow the people to retain free will. Assassin’s Creed is a real game. that’s as ‘real’ as it gets; everything in the game is fictional. The Knights Templar (not the ‘Templar Order’) were founded in 1119AD, which was a very, very, very, very long time after Cain died. The ‘mark’ of Cain has nothing to do with the Knights Templar, who don’t have a crest. They have the Beauceant, a red cross on their mantle, and various Grand Masters through the ages have had seals that usually show two knights riding on one horse, or one knight mounted on a horse with a sword and shield. The Knights Templar have never ever been the ‘archenemies’ of the Assassins. In fact, the two groups never met. The Knights Hospitaler did kill off a small band of Assassin negotiators from Syria who were looking to live on Christian lands and convert to Christianity in order to avoid paying taxes. The assassins never ‘fought to allow the people to retain free will.’ The assassins – the correct term being “Hashashin” were founded by Hassan-i Sabbah for “political and personal gain and to also exact vengeance on his enemies.” In fact the term “hashashin” was a derisive one applied to a small group of Nizari Ismailis who were said to ingest large amounts of hash before going on drug-addled killing sprees. The Knights Templar, on the other hand, didn’t do any of that. Nor did they fight “to allow the people to retain free will.” The Knights Templar were formed to protect pilgrims who traveled the road between the seaport town of Jappa to the city of Jerusalem -a 50 mile stretch of road infested with bad guys. The Knights Templar were not ever a corporate giant. Nor did they exist in the prehistoric era. In fact NO ‘corporate giant’ existed in the prehistoric era. Corporations didn’t exist until laws existed that allows for the creation of corporations – which means that no corporation existed until the formation of medeval guilds – like, for example, the Freemasons. The Templars never sought to create a perfect world. Their sole purpose was to protect pilgrims and the Holy Land. They, obviously, could have done a better job of it. They created a banking system, developed safe trade routes, and worked with people to create a safe environment for travelers. That’s not ‘a perfect world,’ that’s ‘American Express.’ Or, pretty much, any Swiss bank. The Knights Templar never had any ‘sworn enemies.’ In fact, they worked WITH Muslims and Christians alike to forge alliances and create that one thing that is missing from most religions: tolerance. The Hashashin, on the other hand, were all about chaos, payback, and hate. That doesn’t mean they were bad people, it just means that you’re REALLY misinformed about the group. The Knights Templar ARE the Assassins. The Sicarii or the Daggermen are the Hashashin you know the Daggermen. Your Da Vinci Code while ostensibly wrong is right. There is a bloodline. It is revered by the Shia. Hugh De Payens was of the bloodline of the Prophet. You Templars are Muslim. Just crack open an Oxford dictionary and read what Baphomet means. Perhaps it is is the head of Hussain? You: The Knights Templar ARE the Assassins. Correction: Nope. The Knights Templar are an order of knighthood formed in 1119AD in Jerusalem. You: The Sicarii or the Daggermen are the Hashashin you know the Daggermen. – The Sicarii were dispersed 1046 years before the Knights Templar were founded. – The Hashashin were formed by Hassan-i Sabbah in 1080AD. That’s a full 1007 years after the Sicarii were dispersed. – What does that mean? It means that neither group can in any way be connected with the zealots from the first century A.D. Duh. You: Your Da Vinci Code while ostensibly wrong is right. Correction: It’s not my ‘Da Vinci Code.’ It’s Dan Brown’s. And Dan Brown is a writer of fiction. The Da Vinci Code is a work of fiction. Duh. You: There is a bloodline. It is revered by the Shia. You: Hugh De Payens was of the bloodline of the Prophet. Correction: Nope. Hugues de Payens was French; he was born in eastern France, in the village of Payns, near Troyes, in Champagne. He was born and baptised Catholic, and his religion through his entire lifetime was Catholic. You: You Templars are Muslim. Correction: Nope. The Knights Templar began as a western Christian military order – endorsed by the Catholic Church – who, throughout their entire military activity, bore allegiance to the Pope and the Church. All members were Christian. The current Knights Templar organization continues to protect the Christian faith. The requirement to be Christian has been dropped, and men of all faiths are encouraged to join. The Knights Templar are now – as they have always been – a Christian order. You: Just crack open an Oxford dictionary and read what Baphomet means. Perhaps it is is the head of Hussain? Correction: While your fanciful bit of craziness is interesting, it has nothing to do with the Knights Templar. It doesn’t appear in the Templar Rule or any Templar documents at all. Period. But – to make you feel better – the conspiracy theory about Baphomet that you’re channeling does indeed exist; it is fiction created by Eliphas Lévi in 1856 when he drew a picture of a “sabbatic goat.” It’s fiction. Duh. The Sicarii were led by descendents of Judas of Galilee, who helped foster revolt against direct Roman rule in 6 CE, when they attempted to carry out a census of the Jews under the rule of Roman governor Quirinius in Syria, so that they could tax them. Im an assassin and you all wrong this is not a question you should be asking about knights templates and assassins let me give you all one thing to remember believe me our not I don’t care if you people don’t believe me but know us assassins are called freemasons knights template are called illuminate’s their you have two society’s fighting to make this world a hell and and a heavenly place on earth for the time being till the 2nd coming….ny bsmes is Gabriel change Nike Nicholas hollins and I am an assassins are after my ancestor before me of Indian tribe…..
English, clearly, isn’t your forte. Neither is history. 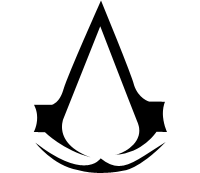 Assassins Creed is a video game. Duh. The Knights Templar did not ever try to bring peace between Muslims and Christians. They were one of the most brutal sects in crusader times believing all Muslims to essentially be evil and the enemy (in a similar way to how Al Qaeda view the west now) however they were not actively at war with the nizari and neither was fighting for world dominance. Oh and the Knights Templar were most definitely a Christian knightly order. Completely incorrect. The Knights Templar were not a sect, nor were they the “most brutal.” The Knights Templar did not believe Muslims to be “essentially evil” at all. In fact, they worked WITH many Muslim groups. That’s one of the issues they went on trial for. What if somehow someone from the Knights Templar or the Hashashin escaped or somehow got away from when they were so called both ‘destroyed’. What if someone who believed in what either of the groups followed, started another group or at least kept the beliefs in there family’s over time? is that a possibility? What do you mean, “what if”? There’s more than enough historical documentation that many members of the Knights Templar were never arrested, imprisoned, or even questioned both inside and outside of France after October 13, 1307. It’s just as likely that members of the Hashashin escaped the Mongols, purges in Syria and Hungary, and various other attempts to destroy them. The desert is a wide place. Peoples can disappear there. But – to correct a misconception – there were no Templar or Hashashin “families” or bloodlines. So there’s no possibility of your ‘what if’ actually being possible. The Knights Templar continued to exist, and several modern groups can trace their history back far enough that linking them to the original Poor Fellow-Soldiers of Christ and of the Temple of Solomon is reasonable. The Hashashin do not share that same type of provenance. Ok, interesting. I was pretty sure there was modern groups such as you explained but wasn’t sure if it was just me who thought this. Not only did most of the Templars escape, about 90% of them, along with their own naval force but a lot of who were arrested outside of France were never convicted, while countries such as Portugal, Switzerland and excommunicated Scotland, didn’t even recognise the charges. As far as “real” knowledge, some members definitely joined orders like Knights Hospitaller as well as formed the Knights of Chris,t Made for Portugal members, officially. Since the masons have been around as long as man had, the fact that they started adopting Templar characteristics and released it’s first ever publication, and started becoming wealthy with no previous evidence of their knowledge of banking until around the same time of the disbanding of Templar Knights, shows, at least, speculation to Templars take over of the Freemasonry lodges. Some also believe the Nights founded the modern Swiss Banks and it’s policies, having the upmost secrecy and original banking ideals in common Some folklore of the area claims of seeing a “white Knight” coming and helping them in battle for freedom. Obviously, the white Knight being a Templar. The idea of banking, never heard of before in the region, started being put in place, a direct link to members of the Templars. The Knights Templar was most definitely not a sect since they had a very strict guidelines about their beliefs, BUT they were most definitely secretive as well. Historians still haven’t a clue to what happened during their various, closed, ceremonies. The records that might exist are written in code that hasn’t been cracked to still today. 1.The Knights Templar, as a whole, played a part in the 1st Crusade when, in fact were created afterwards with the facade of helping Pilgrims traveling to or from the Holy Land. 2. People contribute the brutality of Europes military to the Templars. Their Military was made up of anyone and everyone from Europe since joining the war was a “get out of jail free.” card. Pardoning criminals and relieving people of their debts. for service. This added up to a very messy mix of murderers, rapists, and thieves, making their way through the Holy Land. Now I mentioned the “facade” of helping Pilgrims due to the fact there is no evidence showing they actually did, however they were eager to get to the Temple of Solomon. I know, whatever the reason, that the original ideals were pure hearted. It wasn’t untill after being accused that some started to become corrupt. Essentially, accusing them of heresy is what ultimately led to their heresy. Overall -I wanted to correct you about their secretive nature. -Though not as brutal as majority think, they spread blood without hesitations. – Temple Rule of 1129AD is clear evidence that they didnt hate a particular religion, as you said. You say we know exactly what they did, but there are no records of them excavating the ground until the Temple of Solomon, yet it’s been proven they did throug other digs. About 20,000 Templar Knights were around during their peek, using this number for easier math, 10% jailed, tortured and killed (200) 90% escape, allegedly, with their vast treasure, but definitely utilized the full Templar Knight fleet. (18000). While it doesn’t look like a big number, each one assigned at least one clerk and one chaply in brother along with multiple horses. Look up the Ismailis, in the game their main headquarters is the same castle used by the Ismailis and their enemy was the Crusaders who the Templars resemble, you’ll see a lot of resemblance between the game and this group of assassins. Why look up the Ismailis? Assassin’s Creed is very specific about which sect the Assassins represent. They’re also very specific about who the opponent is. There isn’t any resemblance between the groups you mention, Russell. And the timeline doesn’t fit, either. The Knights Templar were a religious order of warrior monks. The Hashashin were a religious sect. Neither group was secret. Both the Knights Templar and the Hashashin kept records, and we know exactly what they did or didn’t do. While the Knights Templar records were extensive, the writings about the Hashashin were from inside the sect as well as outside – and they were written at the time the events were taking place. The Library of Constantinople has no bearing on any documentation regarding the Knights Templar or the Hashashin; both of their records were kept by them, not in a library. The “simple fact” is that we do know – exactly – what happened. We do know – exactly – what their intentions were. The Knights Templar never sought to control humanity, nor did the assassins fight for freedom. Ever. The problem with education these days is that some people don’t seem to have any, and have serious problems differentiating between reality and fiction. Hahaha, Shawn Bell is the most informed about all of this and most of u guys r stating the exact opposite of the Article says so ur getting roasted by Shawn. Shawn. You are right. Templars were not a secret group. However I have done years of research into Templars, their rise, their system and their trial period. After the order came out for their heads, a lot of documentations, studies and rituals went underground to protect the order and of course protect themselves as they were deemed devil worshippers by the pope. However it is an obvious fact that the Templars survived the inquisition. It is believed (also is my belief) that Templars formed into Freemasonry. I cannot remember much into some of the dates and places to prove some links between the two as I can’t come up with it of the top of my head but the fact is, Templars were formed to protect pilgrims. However there is plenty of evidence to prove that they may have been lead towards a different path or shall we say a different purpose through out the years. Assassins Creed game series are fiction. It is not a rewrite of history. That is silly to think. But we cannot undermine the possibility of secret knowledge and/or artefacts that specific groups may have been after throughout the crusades and even longer. Whether this was to control free will or spiritual objects to grant power so on so forth (whatever you may believe in) is obviously a myth. But with so much of Templar history erased in masses, we cannot understand the absolute purpose of the Templars in the middle east. Fact is assisting with pilgrimage and provide safe passage. But their involvement in the region was not purely in regards to pilgrimage or protection. It is silly to think that with so much proof of historical valuables snatched from middle east during the Crusades, groups such as Templars would not have come across a wealth beyond our though or power beyond our imagination. Now this would obviously not be some Eden’s apple or mankind’s first disobedience. Never the less, it cannot be ruled out. If history has taught us anything, it always proves us wrong. I think that the templers still exist and the assassin’s. The Knights Templar do, the Hashashin do not. There have been reports of Templar groups although not hidden rather more open to media all though they have not done anything over the top there goal is a similar to the origins of there group. The hashashins are most likely dead and possibility of them being alive well the reason is most likely someone who uses there image and replicates it although I feel as if the strength of the order did die out when its said although its believe the last ‘desendent’ died out around 1507 but unlike the Templar they are very hidden if around. I also don’t really understand where the war of Templars and assassins being arch nemesis of each other if not from ubisoft and the fanchise as sure they were enimies but not main priorities of each opposition. just felt like I had to rant lol but totally agree with you in most levels.